Describe the differences between people who become patients and those who choose not to seek medical care. Identify the events that turn patients into plaintiffs. Refrain from using specific physician behaviors that precipitate lawsuits. List the behaviors of never-sued physicians and incorporate them into daily practice. Apply the principles of patient-centered interviewing. Recognize potentially litigious patients and put into practice methods for dealing with them. This activity has been planned and implemented in accordance with the accreditation requirements and policies of the Accreditation Council for Continuing Medical Education (ACCME) through the joint providership of The University of Arizona College of Medicine - Tucson and Medulogic. The University of Arizona College of Medicine - Tucson is accredited by the ACCME to provide continuing medical education for physicians. The University of Arizona College of Medicine - Tucson designates this enduring material for a maximum of 4.00 AMA PRA Category 1 Credit(s)TM. Physicians should claim only the credit commensurate with the extent of their participation in the activity. "Secrets of Never-Sued Physicians" was written and developed by David Lickerman, M.D., President of MeduLogic. David Lickerman, MD is Medical Director of the Emergency Department at St. Joseph's Hospital West in Lake St. Louis, Missouri. He is also a System Medical Officer (SMO) of the Schumacher Group. He was formerly Associate Director of Emergency Medical Services at Christian Hospitals NE-NW in St. Louis, Missouri. His residency training was in Internal Medicine at St. Luke's Hospital-Washington University in St. Louis. 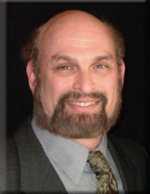 His board certifications include Internal Medicine, Emergency Medicine, and Quality Improvement. He has written and lectured nationally on the subjects of risk management, medical quality improvement, and physician-patient communication. Most recently he co-authored a chapter entitled “Emergency Department Risk Management: Promoting quality and safety in a chaotic environment” in the fifth edition of Risk Management Handbook for Health Care Organizations published by the American Society of Healthcare Risk Managers in 2006. Other software programs written by Dr. Lickerman, and published by MeduLogic, include "Clinical Communication and Risk Management Strategies for Emergency Medicine", "Risk Management & the Art of Primary Care", and "The Many Faces of Family Violence." Additional information about these programs is available at www.medulogic.com. Disclosure: Dr. Lickerman states that he does not have any financial arrangements that could constitute a conflict of interest. Very informative and useful CME!!! Very helpful refresher. I have some new ideas from this. I have used most of these techniques in my whole career. No law suits yet (knock on wood). Good to take a course like this every few years or so. Excellent! This course should be given to medical students at the beginning AND end of the clinical rotations.